Hope you enjoyed the first AMLT Network Member interview that was sent yesterday. If in case you missed you can read it over here. We’re happy to share that we’ll be conducting the monthly AMLT review and Q&A session with AMLT & Coinfirm Co Founder Grant Blaisdell. We highly value your trust, support and feedback which is why we are conducting monthly reviews and Q&A as part of our AMLT roadmap. This will be a Facebook live event on the AMLT Facebook page. All you to do is click “Sign up” so we know you’ll be there to ask questions and engage in this event. 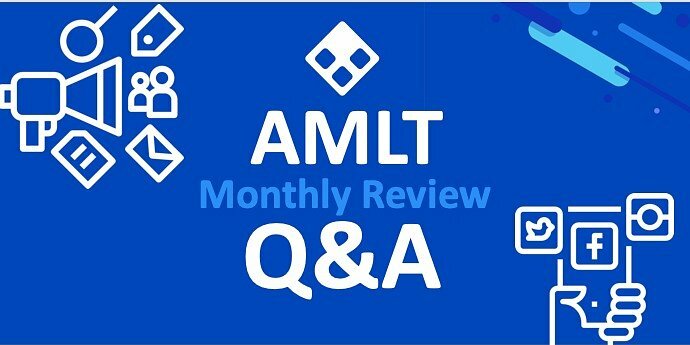 The AMLT Monthly Review and Q&A will take place on Saturday 15th December, 2018 at 16:00 CET time on the AMLT Facebook page. Click on the Sign Up link below that will lead you to the Facebook page to complete the quick, simple Sign up. Sign UpIf you're interested in partnering with Coinfirm or becoming an AMLT Network Member then contact us!